Patricia Reilly Giff is the two-time Newbery Honor-winning author of Lily's Crossing and Pictures of Hollis Woods. Her memorable array of novels and her background as a reading teacher makes her an ideal fit for speaking to groups of children and educators. 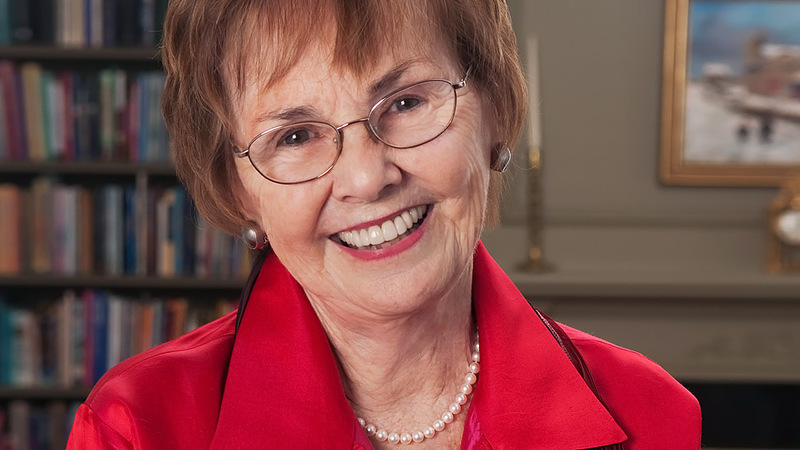 Patricia Reilly Giff is a two-time Newbery Honor-winning novelist and a household name among educators, children, and parents. The respected author of over 60 books for young people and the recipient of numerous honors and awards including the Newbery Honor Award and the Boston Globe-Horn Book Award, Giff is a much-loved author who continues to provide generations of readers with heartwarming, humorous, and unforgettable novels to enjoy. Giff has been featured in national media outlets such as The New York Times and C-SPAN’s Book TV, and has been interviewed by numerous television, radio, and newspapers across the country. With over 16 million copies of her books sold, and 20 plus years of experience as a reading teacher and consultant, Giff brings a wealth of knowledge and expertise to the children’s literary world. In 1990, Giff and her family opened up a children’s-only bookstore in Fairfield, CT called The Dinosaur’s Paw, which has became a staple in the community. Giff also teaches a creative writing class out of the store, which has resulted in a number of published novels for first-time authors. Fans can follow Pat on her blog at www.patriciareillygiff.com. A dynamic, warm, and memorable speaker, Giff has spent years speaking at schools, libraries, bookstores, and conferences across the country, where she shares her personal story of how she became a writer, her writing process, and more. Giff resides in Trumbull, CT with her husband, Jim. They have three children and seven grandchildren. Patricia Reilly Giff is a delightful speaker as she describes how she weaves the inspirations from her life into her stories. Her experience as a teacher and reading specialist for 20 years enhances her stories as she truly understands children who struggle with reading difficulties and family issues. Patricia Reilly Giff is an extremely warm, funny, and engaging speaker. Her presentation was beautifully organized revealing her life and her work in such an engaging manner that it was like listening to a storyteller. Pat charms the audience with her anecdotes, often about her Irish and German heritage and her family, and her quick wit. 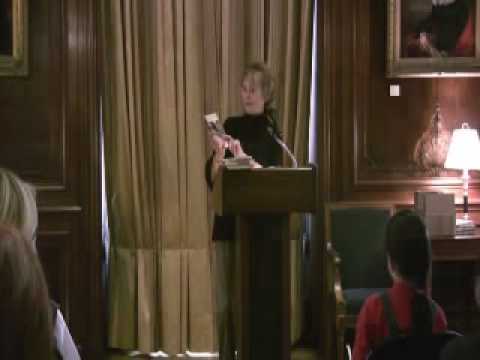 We have had many wonderful children’s authors speak and Patricia Reilly Giff is a shining star among them. She is simply outstanding.